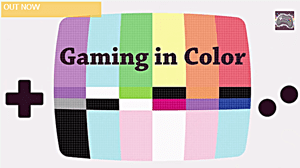 Gaming In Color the Kickstarted funded full-length documentary that explores queerness in games, such as the LGBTQ presence within the games industry and is now streaming online over at VHX. A lesbian, gay, bisexual, transgender, or otherwise queer gamer has a higher chance of being mistreated in a social game. The power dynamic of a geek society tips against them. Diversive queer themes in storylines and characters are still mostly an anomaly in the mainstream video game industry. However, the gaming community is far more colorful than one may expect. Gaming In Color shows that there is a full spectrum of gamers picking up their controller to play.